Newt Scamander and his gang of misfits are back and this time it’s sort of personal? Prequels are tricky for a number of reasons; they risk disrupting cannon or affording the wrong subject matter too much real estate. I mean just look at the Star Wars prequels and the Hobbit films, but if there was ever a writer/screen-writer I trusted to do it right, it’s J.K Rowling. And it seems that trust is well founded as The Crimes of Grindelwald is a wonderful continuation of the series. The Crimes of Grindelwald takes place roughly a year after the events of the first film, Newt Scamander is visiting the Ministry of Magic hoping to appeal the travel ban he incurred after the events of New York. 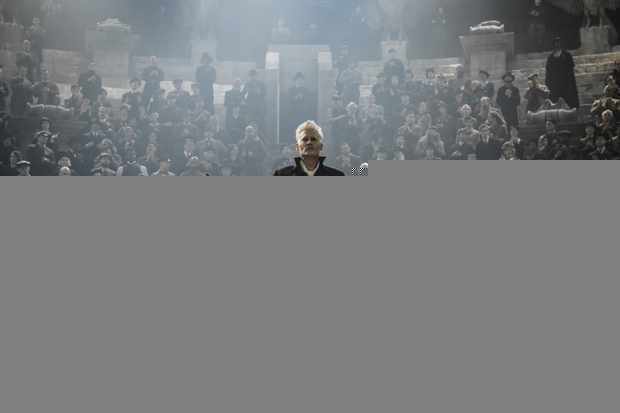 It is here where he learns that the powerful dark wizard Grindelwald has escaped and is amassing an army with the intent to make wizards the dominant race in the world. The Ministry offer to lift the ban under the condition that Newt hunt down the Obscurus Credence Barebone. Of course Newt, not wishing to take sides tells them to stuff it up their magic holes. That is of course until Dumbledore (or should I say Dumble-daaaaamn) explains that by going to Paris and saving Credence they may yet avoid war. It is a wonderful introduction, giving the audience a sense of the current state of the world, it is a tense time and people are afraid, unsure who they can trust. The story is as entertaining as we’ve come to expect from the great J.K Rowling, exciting, bold, unafraid to tackle difficult topics and completely heartfelt in its intent. The film while a little more on the sombre side still retains some of the same light-heartedness that made the original so appealing. 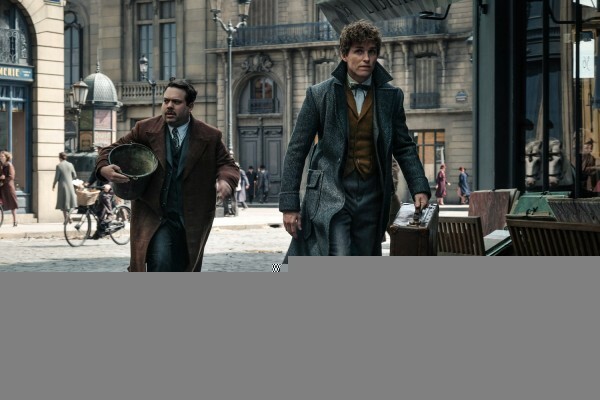 The majority of which is provided by the hilarious Dan Fogler as Jacob Kowalski, whose facial expressions and comedic timing are as entertaining as always and Eddie Redmayne as Newt Scamander. Redmayne’s endearing portrayal of the charmingly quirky Newt Scamander is as welcome as ever, providing a wonderful counterbalance to the film’s dark setting. While I enjoyed all of the performances from the incredibly talented cast the one that stood out the most for me was Johnny Depp as Gellert Grindelwald. Every moment he was on the screen I was captivated, his portrayal of the magnetic Grindelwald is one that will stay with me forever. Everything from the way he moved to the way he spoke seemed calculated, nothing done without intent, careful and precise. Depp’s incredible acting and natural charisma brought Grindelwald to life and saved him from becoming little more than Voldemort-lite. 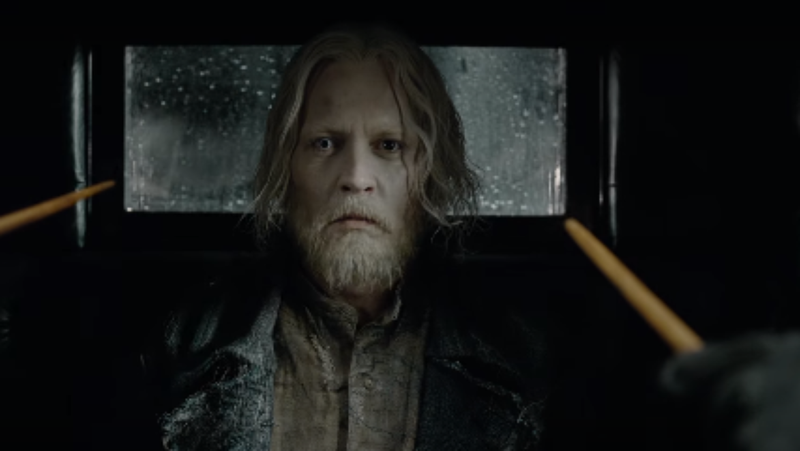 But it’s not just Depp’s performance that makes Grindelwald stand out, the character is also fantastically written. I’ve said many times that the mark of a truly great villain is a humanising element, something that makes us identify with them. For Grindelwald it was his motivations, he wants to change the established order so that “his people can be free to be who they are and love who they choose”. That last part struck me as particularly telling, it’s no secret that Grindelwald and Dumbledore where in a romantic relationship and this statement suggests that perhaps even in the wizarding world people of the 1920’s weren’t as tolerant as they should be. It shows that (in the beginning at least) Grindelwald was motivated not by greed or a lust for power, but by love and a yearning for freedom that has been denied to him. I am also enjoying the various locations we get to experience with each entry to the series, from the wonderfully bleak prohibition era New York in Fantastic Beasts; to the beautiful Parisian setting of Crimes of Grindelwald. But it’s not simply the different backgrounds we are experiencing; we are also given a peak behind the curtain and shown how wizards around the world differ from those we have seen in Harry Potter. By changing locales each time the writers are expanding the universe with each new instalment, but by keeping the story focused on the wizarding community they never lose a sense of familiarity. And with that familiarity comes a certain safety, a safety that allows the writers to take chances on new characters and explore new themes. And by God is the Fantastic Beasts series doing just that. A visually spectacular film that never forgets that substance and story are equally important the Crimes of Grindelwald is another “Fantastic” addition to the Harry Potter series. With a gripping story that is well told, heartfelt and brought to life by an immensely talented cast who only seem to get better with each instalment.